I think this article turned out pretty well! 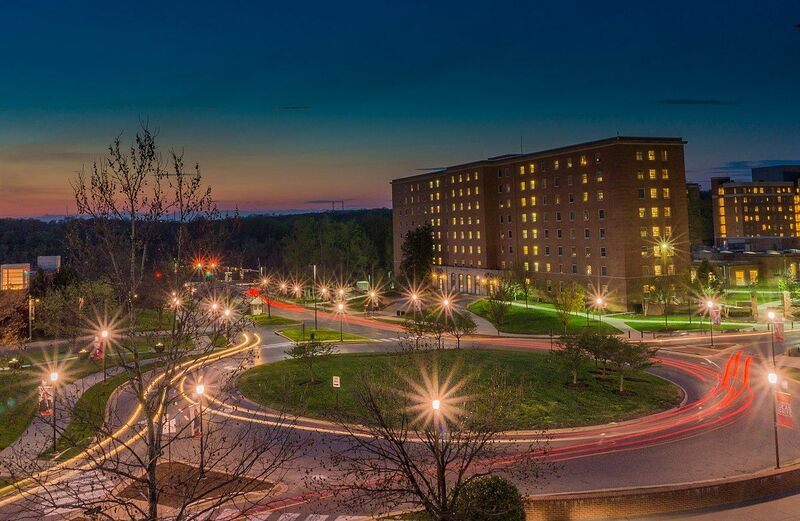 Kudos to the University of Maryland and HelioCampus for their amazing work on MOOC data. Sure, I’ve seen gumball-sized plastic objects spit out by hobbyist-caliber 3D printers. 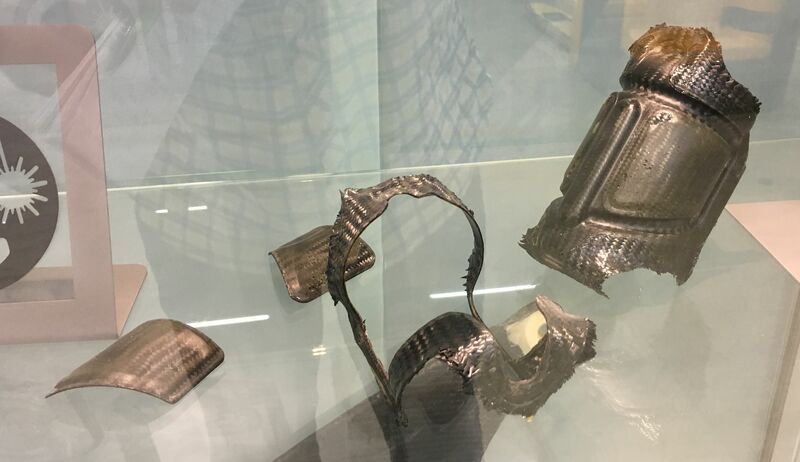 But it took a visit to the Fraunhofer Research Institute for Additive Manufacturing Technologies (Fraunhofer IAPT) in Hamburg to understand what it takes to apply 3D printing to industry-grade products. In this case, the objects produced are made from metal. 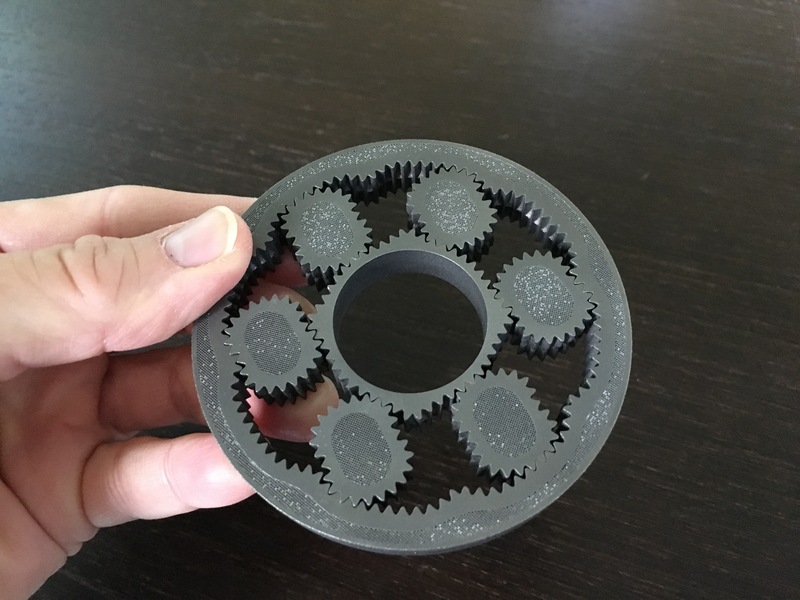 A single print job produced this gear system that moves with the precision of a highly-crafted machine. For 17 years Claus Emmelmann, a professor at Hamburg University of Technology (TUHH), has been praising the use of additive manufacturing. (An Airbus manager encouraged him to continue work on it even as others derided his efforts.) Now he has an institute dedicated to the topic, which can train engineering students in theory and application. These engineers will get hired all over the world, he added. 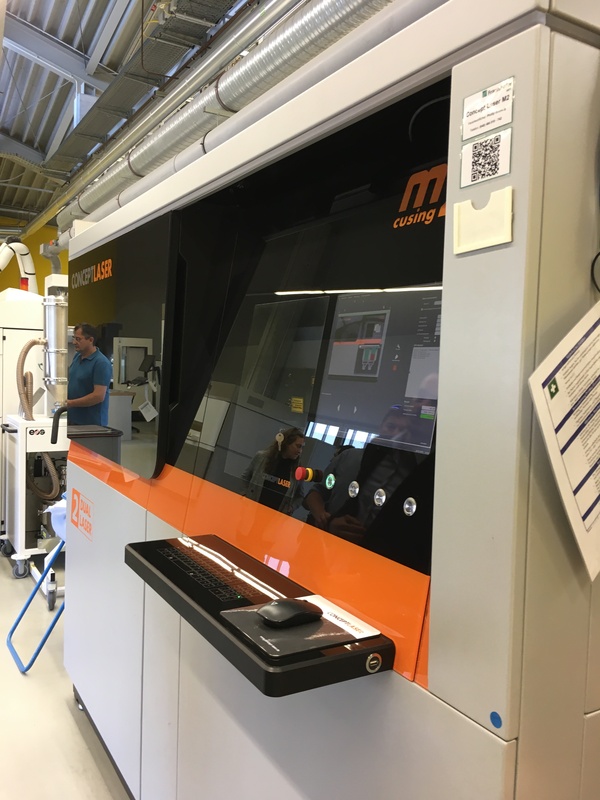 For car maker BMW, as an example, 3D printing is “the most important topic for them.” The institute, whose current site opened earlier this year, has about 100 research employees, and it’s already generating €150,000-€200,000 per month working with companies. “3D printing will be an industrial revolution,” Emmelmann asserted. Why the big deal? The equipment housed in this institute is capable of producing better quality than conventional manufacturing allows for. In metal production, he explained, there are three levels of basic quality: casting (good), milling (better), and forged (the best). “At 3D printing we get forged quality,” he said. Also, 3D printing could be used for making small runs of highly engineered objects. 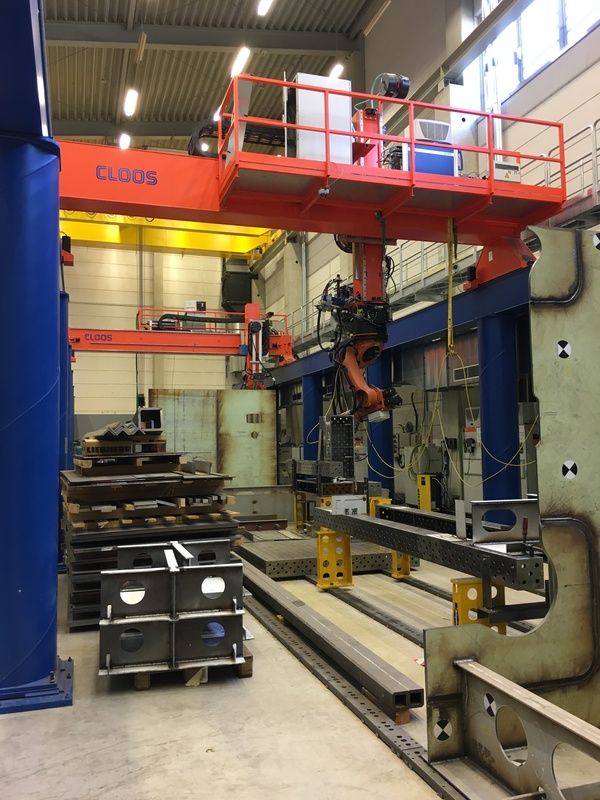 For instance, a 3D metal printer might be placed on an oil rig to rebuild broken parts more quickly, thereby reducing downtime. Likewise, there are military applications. For the latter category, we were given a peek at the caliper in the braking system that operates in the back wing for the $3 million Bugatti Chiron. The part is poetic in its precision. Based on the brief education our journalist group was given by Juan Diaz del Castillo, a member of the Institute’s quality assurance & qualification team, here’s how 3D metal printing works (mistakes are my own!). The metal is an alloy that arrives in powder form. The massive machines that serve as the printers are robots that “grow the parts” by directing a highly targeted laser (or “electric gun”) at the powder to melt it into the appropriate shape and build the object up layer by layer. (Those layers can be as precise as 10 micrometers, a tenth the width of a human hair.) As a layer of metal alloy is melted onto the previous layer, the platform upon which it sits is lowered for exacting placement of the next layer. A room-sized 3D printing set-up can handle large projects, such as welding on a boat’s hull frame. 3D printing can also be used for more consistent welding jobs. One space we visited included a room-sized robotic 3D print-set-up the size and height of a basketball court to create large objects, such as the welding needed to frame a boat. Supports are printed as additions to hold up parts of the object that would otherwise just drop onto the platform. And a clean-up process removes the extra support materials once the object has been finished. However, that still needs to be automated. Currently, it’s handled manually; students use hammer and chisel, Dremel machines and sanding to remove the supports. One portion of VRHQ’s offices. Take a group of young people running their own companies immersed in 3D video and virtual reality and augmented reality, put them together in a cool wharf-side multi-story space, and you’d have the story of VRHQ — Virtual Reality Headquarters Hamburg. Once this operation is fully up and running, members of the public, school groups and business people will be able to visit and experience these technologies for themselves to get a sense of their impact. All of these companies appear to have dual operations — one catering to agency needs, where they generate their income, and the other to work on “big idea” projects, where they get to push the boundaries of the tech and play. 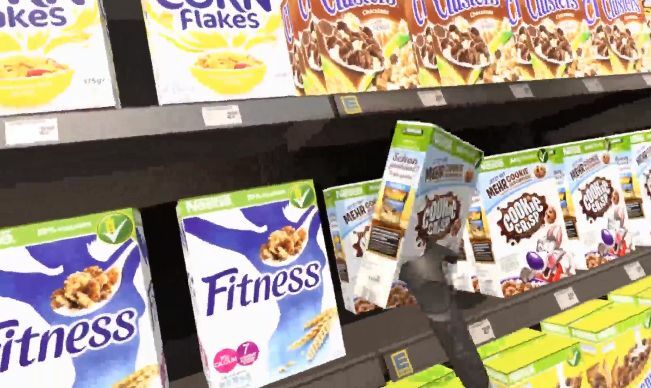 As an example, instead of the costly process of setting up a model grocery store for the sake of testing out packaging, pricing, placement and other considerations that category managers care about, you could immerse your prospective customers in a digital mockup of the store and track their experience more fully and for a fraction of the price. That’s what VR Nerds, one of the four companies in VRHQ, is doing for its clients. The makers of Kerrygold butter wanted to jump into a new product line in the milk drink category, according to CEO, Alex Kutter, and his agency set up a shopping experience that allowed the food maker to do research on packaging. NOYS VR, another company in the set, is developing a social platform that allows musicians and other kinds of performers to set up VR venues in which to host concerts that immerse their fans in the “dream” concert experience. Fabio Buccheri, one of four founders, said that eventually, the platform will allow them to invite audiences and sell tickers and concert gear. 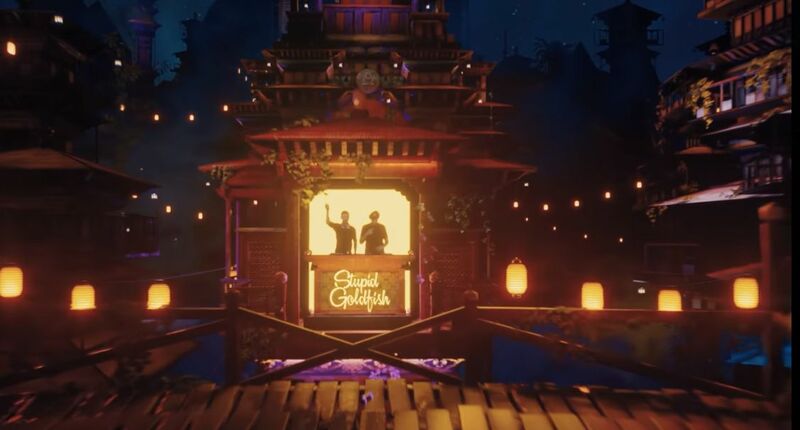 Currently, people can try out the platform by downloading a free app that works on Oculus headsets and transports participants to ELBJAZZ, a two-day international music festival in the Hamburg harbor that took place in June. Spice VR is an agency that specializes in 360-degree film and video work. Spice’s customers include Peugeot, BMW, Porsche, Telio, MTV, Cisco, AMD, Renault and a bunch of industrial customers. One unique project undertaken places viewers as astronauts into an accurate computer-generated version of DESY, one of Germany’s largest particle accelerators, to help people understand how an accelerator works and communicate its publicly-funded value to a tax-paying citizenry. 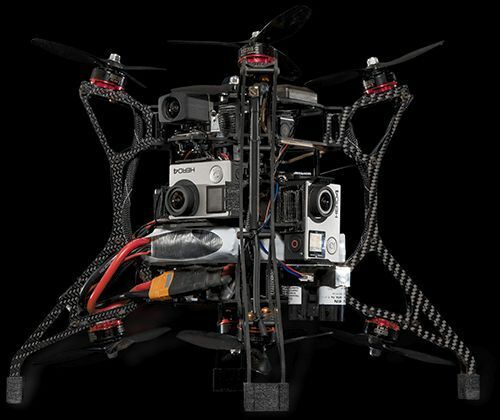 SPHERIE, a 360-degree video drone. Matthias Beer, project manager for Hamburg Marketing (and our local host for the Hamburg visit) said his city is the second most populous in the country after Berlin. It has the largest per-capita share of millionaires, 45,000 in a population of 1.8 million people. It’s home to leading brands in publishing, maritime, aviation, logistics and energy. But it’s innovation that is adding the real color and texture to the city. 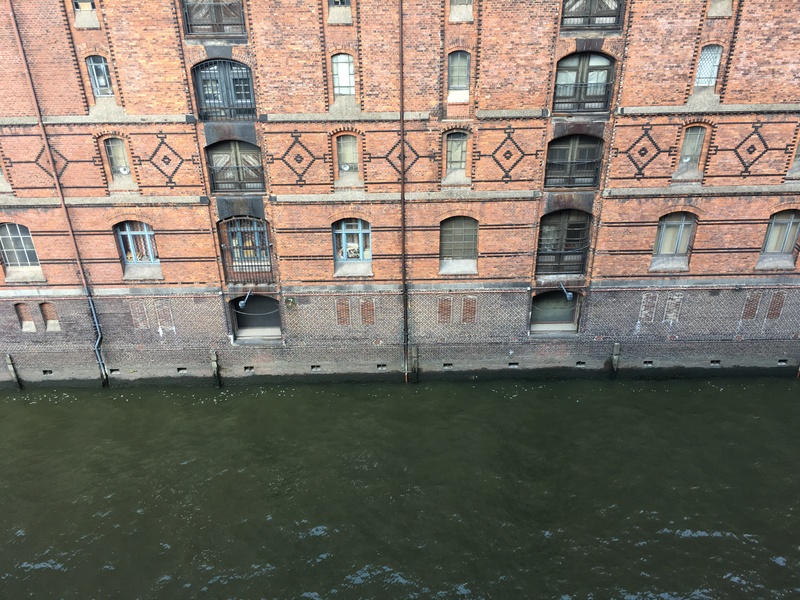 For instance, VRHQ is located in an historic brick building that used to serve as a canal-side warehouse. 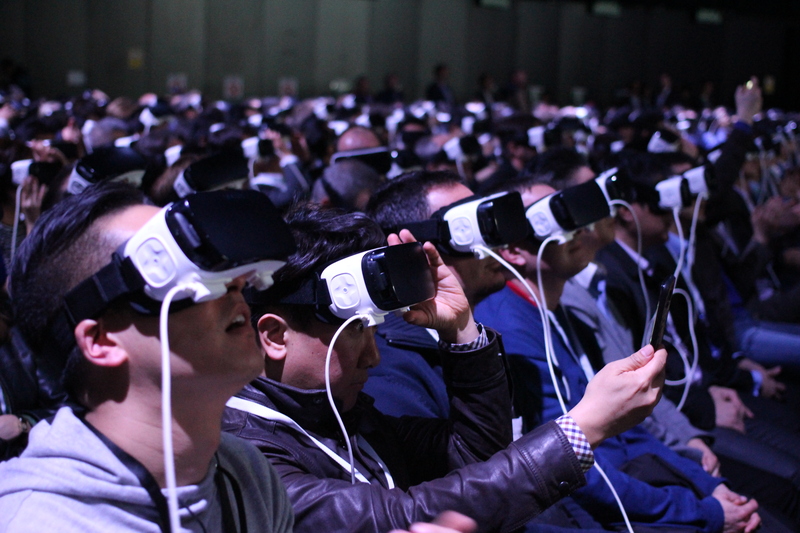 Now it has been modernized and handed to these virtual reality pioneers under a highly-subsidized rent agreement. The cooperative arrangement of the separate organizations into a larger concern allows them to spark ideas and share work. Soon, a university will open up offices in a floor upstairs to add the academic and research touches. 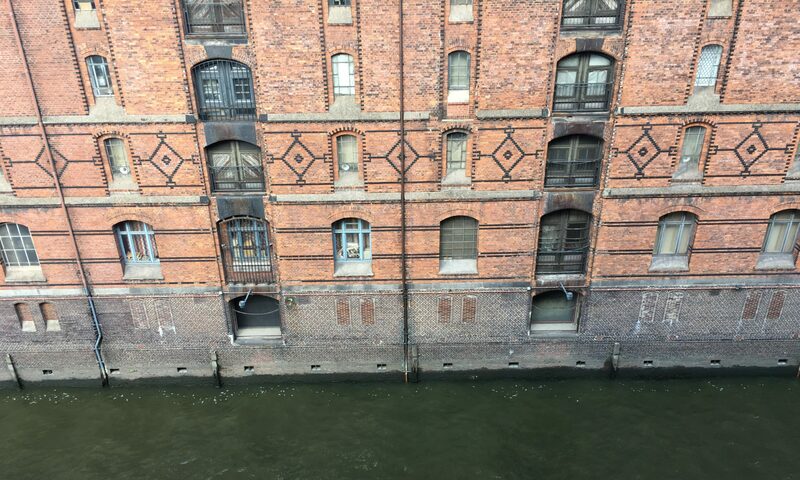 The view outside of VRHQ’s offices in Hamburg. Patrick Grosa emphasized that he wants visitors to think of three things when they visit his city: hardware, software and the connectivity (specifically, 5G) for building smart-er devices. Grosa is the managing director and head of Research & Technology Transfer for High Tech Startbahn, a new Dresden organization that intends to bring the players — start-ups, researchers and industry — together in a more structured way to accelerate development of new products and services tied to smart devices. To give us a taste of the Dresden magic, Grosa introduced us to two operations, one a fast-growing start-up that’s already generating paid work from European and Chinese companies, and the other a research organization run by a wild-haired professor juggling dozens of 5G-related projects. Frank H.P. Fitzek runs a 5G institute in Dresden focused on communication networks. First, the research organization. Frank H.P. Fitzek, the chair of communication networks in the Institute of Communication Technology, a unit in the school of Electrical and Computer Engineering at Technische Universitäte Dresden, is also the 5G Lab Germany coordinator, a position that puts him at the center of a crowd of PhD and master’s students, junior researchers and research assistants exploring applications for 5G — and explaining it to the rest of the world. A quick explanation of 5G, courtesy of Fitzek (any misinterpretations are my own): This wireless protocol promises faster communication. It achieves this by providing greater bandwidth (a bigger pipe for ethernet or mobile data to pass through), better security and, most importantly, low latency. Latency refers to the delay that happens in communication, when you’ve taken an action and you’re waiting for the response. 5G is the only communications protocol that promises low latency, strictly defined as one millisecond. (Slice a second into a thousand parts, and one of those pieces is a millisecond.) The pause between action and response must be a single millisecond for that communication to be classified as having “low latency.” What this promises, says Fitzek, is real-time communication. How does this play out in the real world? Perhaps it doesn’t matter if you’re streaming music or video. But if you’re a driverless vehicle that’s part of a mesh network of vehicles — all communicating in real-time to prevent yourselves from crashing into each other or anything else — any variation from that one millisecond latency could make the difference between success and failure. Currently, driverless vehicles, such as the Tesla, relies on a single car being equipped with every sensor it needs to avoid hitting anything else. That’s inefficient, suggests Fitzek, because none of those sensors “can see around the corner.” The network set-up running on 5G could constantly be updating every other vehicle in the mesh to let them know what’s going on immediately around them as well as what’s coming up elsewhere on the route that might cause them to want to change their behaviors. Fitzek’s team is figuring out the communications to make those kinds of operations possible. When the technologies have been formulated, developed and proven in the lab, it’s licensed to industry or government for turning into products and services. The professor notes that by 2020 we’ll see release 15 of 5G, “to allow the network vendors to make money” (through the sale of all of that new network hardware and software), and by 2022, we’ll see release 16, which holds the true promise of real-time communication. 5G also plays a role in robotics operations, Fitzek points out, by enabling “cohabitation of humans and robots so they can interact.” Robotics right now can run amok — not by virtue of doing their own thinking but because a human might get in the way of a robot simply doing its job and be injured in the process. In Germany, at least, “safety fencing” is required to be set around a robot performing some manufacturing process. However, with real-time communication in place, a robot could immediately respond to a tap by a human to cease its activity. Fitzek played a role in the other Dresden organization we visited. WandelBots (from the German for “change), grew out of a computer science project undertaken through Fitzek’s group. (He’s a co-founder along with five other people.) 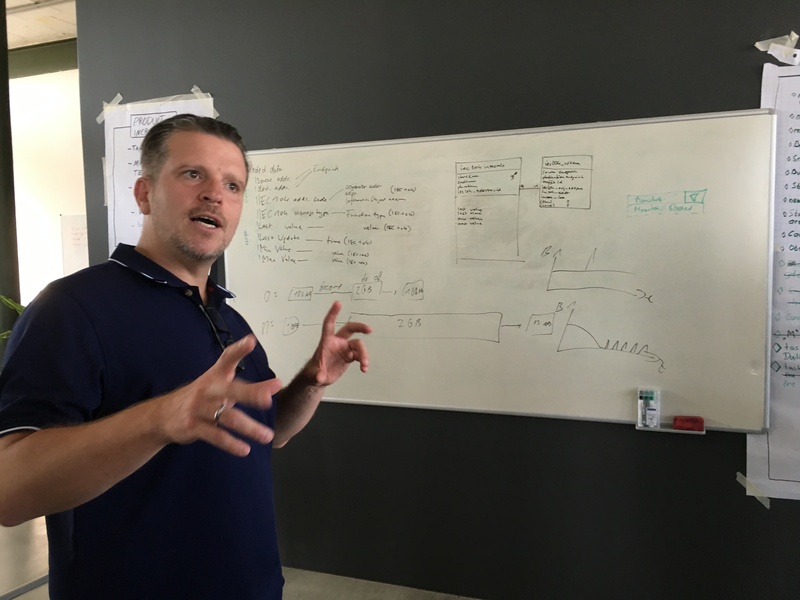 This start-up is run by Christian Piechnick and served as the first proposal created as part of the smart device hub focus being promoted through the High Tech Startbahn. WandelBots, officially formed in November 2017, has grown from two people to 16 in that short time and expects to be at 25 by the end of the year. 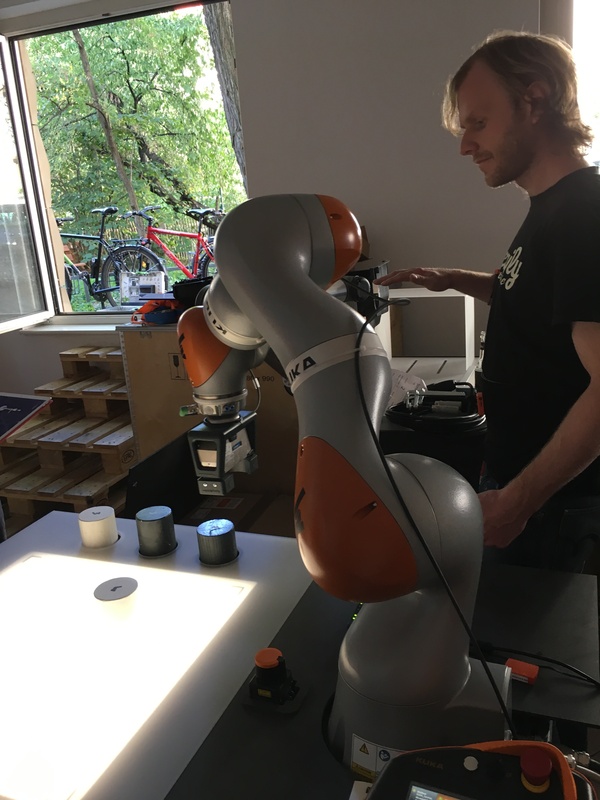 A member of WandelBots’ crew demonstrates how to teach a robot how to handle a particular industrial activity; the data collected on that will be converted into the code used to drive the work afterwards. This start-up’s idea is simple: to teach robots. Programming robots to perform industrial activities is time-consuming. Piechnick said Volkswagen, as an example, could spend three months or longer putting in place all the activities required to have a robotic arm handle a specific job — such as placing a speaker into a car door. And every kind of robotic arm runs its own software, which means that when a company brings in a new or updated model, the process of programming has to be started all over again. What Piechnick and his team have figured out is how to reduce that three-month process to a single week, a boon for manufacturers that want the flexibility to modify their production line work as needed. WandelBots uses a combination of hardware and software to “templatize” the programming work. A worker can perform the activity wearing a sensor-laden coat or sleeve, and the robot “learns” the activity by duplicating the worker’s action. Those actions are automatically converted into the code that would otherwise have to be manually programmed. And the programming can be transferred to a “friend,” another robot performing the same work. When adjustments need to be made to the activity, a non-coder can go into the user interface and tweak various settings to enable the programming to adapt to the changes. Currently, the company is focused on the European and China markets. In Europe, the car makers — big fans of industrial robots — are obvious targets. In China, it’s semiconductor manufacturers. And by “focus,” we mean, selling into. WandelBots already has paying customers. Interestingly, this isn’t sold as a cloud service; it’s deployed within the companies on their own, private clouds. It’s obvious that Leipzig and Dresden are proud of what they’re accomplishing on the business-to-business front. Next on our German tour: a visit to Hamburg, where we’ll see applications both business- and consumer-oriented that use virtual and augmented reality. Leipzig and Dresden are an hour’s train ride apart from each other. They appear to maintain a friendly rivalry, though both are tied at the hip through Germany’s Digital Hub program. 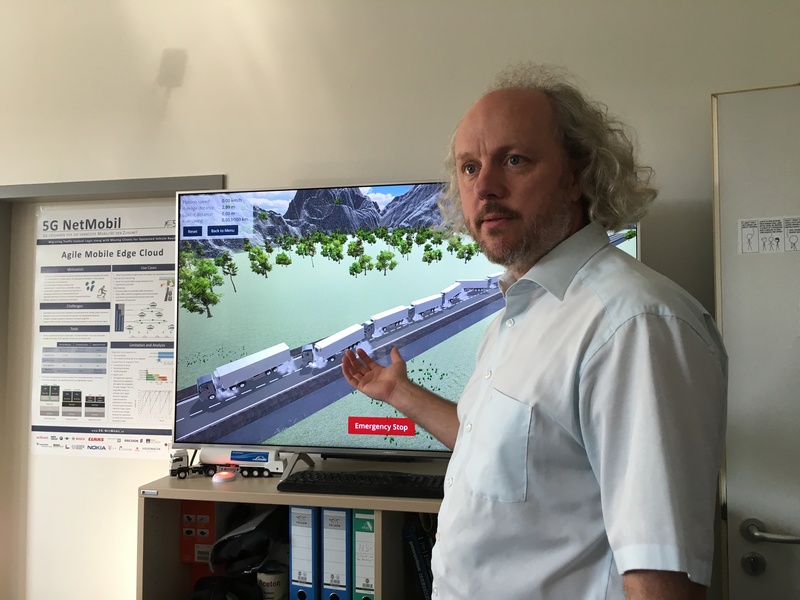 For Leipzig, the first city we visited of the pair, the effort is called the “Smart Infrastructure Hub Leipzig”; in Dresden the work is referred to as the “Smart Systems Hub.” In this brief article, I’ll share what I learned today about each. SpinLab’s operations include 10 start-ups that are getting a master’s level education in how to run a new business. Both are mid-sized cities located in the former East Germany state of Saxony. Wide boulevards are sliced by tram tracks and bordered by out-sized blocks of buildings colored in drab grays and beiges. However, each also has its charming neighborhoods, with narrow tree-lined streets and gracious family homes, as well as walkable pedestrian plazas packed with outdoor diners enjoying the unseasonably warm weather. Leipzig has the country’s largest zoo; Dresden has magnificent churches, palaces and horse drawn carriages conveying tourists around the sites. To serve as a research center. Ten start-ups at a time are selected to participate in a free six-month crash course in getting their businesses up and running onsite. The only criteria: The startups must host apps online; they must be technology-based; and the team must be fluent in either German or English. Partners provide financial backing to keep the doors open. Those include Dell EMC, eex, Porsche, KPMG and HHL Leipzig Graduate School of Management, and 19 other organizations. We visited with companies in each of the core areas. The first was to Rhebo, a SpinLab success story, that addresses “industrial network continuity.” Although you might look at the technology developed by Rhebo as a security offering (since it does network monitoring for anomaly detection), the sweet spot is really helping companies identify when productivity levels aren’t hitting targets because the technology has identified deviations from the manufacturing specifications, said Stefan Sebastian, a company executive in charge of Product and Strategy. Rhebo appeals to corporate customers seeking to remove variation in their automated processes through deviation identification. Then we visited the Innovation Center Computer Assisted Surgery (ICCAS), where we watched two demonstrations. 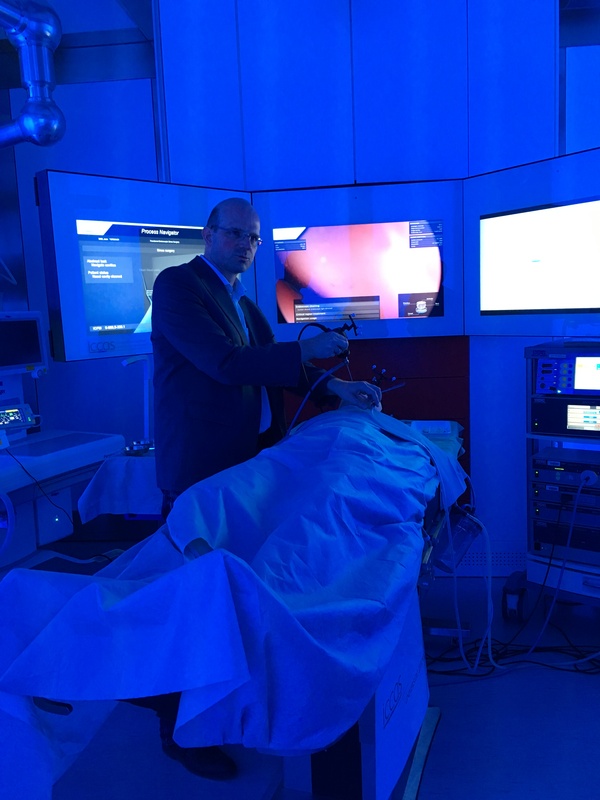 The first was a “smart” surgical center, where the prototype showed how systems can work together to speed up and improve the accuracy of surgical procedures. As Thomas Neumuth, ICCAS Vice Director, explained, the set-up works like a car navigation application; it tells the medical professionals what to do next. For example, when the prep work is done and the actual surgery is about to take place, the lights automatically go down to signal to those in the operating room to pay attention because the show is about to begin. “All the technology,” he said, “is used to assist the surgeon” by removing any aspect of the work that isn’t “value adding.” The system can even handle the billing so that all aspects are tracked automatically. This one is five years down the road, said Neumuth, because of the certification process the equipment needs to go through before it can be used on live patients. The second demonstration by ICCAS showed how a robotic arm can be used to gain precision in certain procedures, such as for placing a needle inside a patient. This smart surgical center uses automation to optimize surgical procedures akin to a car navigation system letting you know when to take the next exit. 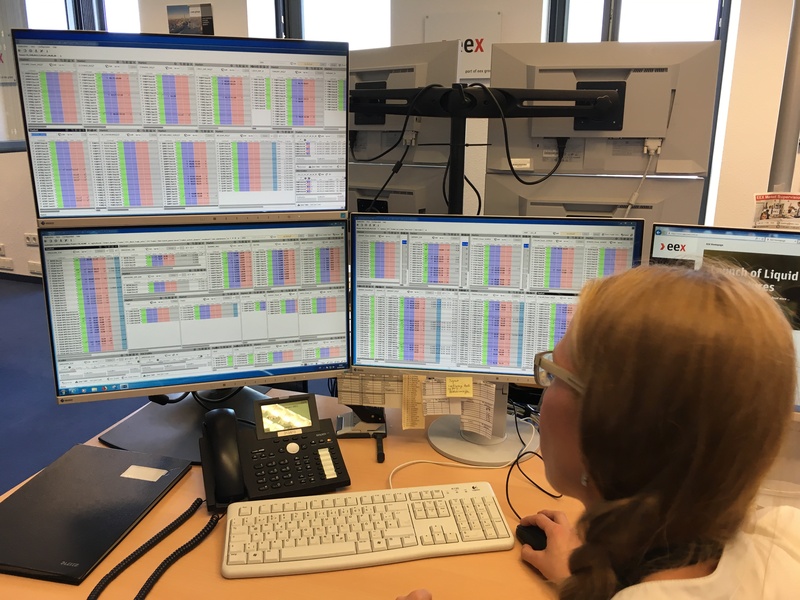 The last company we visited in Leipzig was eex, the 15-year-old European Energy Exchange, which provides live trading for electricity around the continent. Its mandate: “to establish transparent and fair market prices.” e2m, previously mentioned, is one of about 500 trading participants in 60 locations worldwide that use the exchange to either buy or sell energy. In 2016, a total of 4000 terawatt hours were traded, six to seven times the annual electricity consumption of Germany itself. A quick tour of eex’s market operations department, tucked away in a secure space and considered the “heart of the company,” is where buyers and sellers are matched up. The tedious detail work is handled automatically by software; however, a core staff is on hand to help with customer questions. For good reason, the people in that room are the only humans who see the live trading take place. There’s a “safety guard” of 50 minutes before any of the information in that room can be shared. 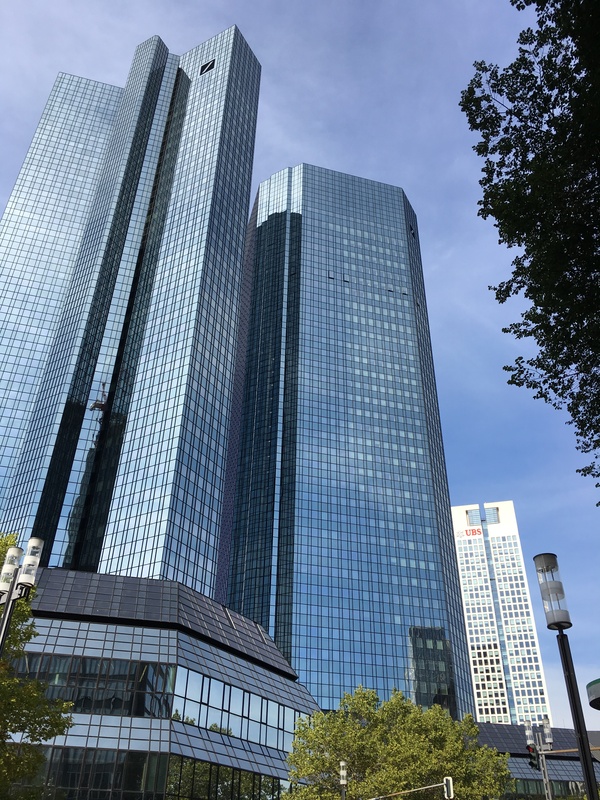 Frankfurt is the banking center for continental Europe. Quantum computing algorithms, an opportunity for companies to “pitch” to developers about why they ought to join the staff, and a data analytics service working with Cisco on a project that promises to replace three train cars’ worth of measuring and monitoring operations with a single $500 device. What do these companies have in common? They’re all part of TechQuartier (TQ), a financial technology (“fintech”) innovation space set in the heart of Frankfurt, the hub of financial services operations for continental Europe. I’m on a five-day journey with other journalists to explore digital potential in Germany, a trip sponsored by Germany Trade & Invest, a federal organization for promoting business and investment throughout the country. TQ is one of a dozen “digital hub” initiatives around Germany with a specific bent, based on what dominates in a given region. For Frankfurt it’s financial services; others focus on cybersecurity, logistics, AI, insurance, digital health and digital media, among other concentrations. 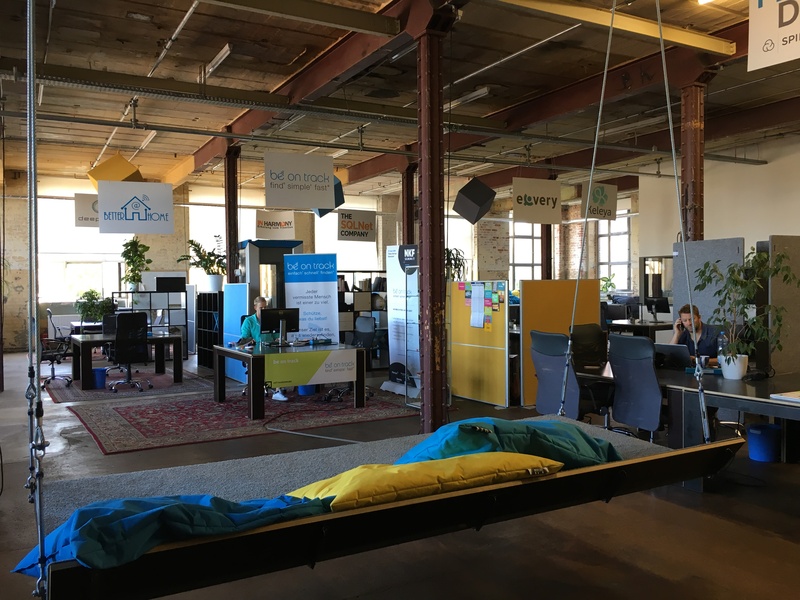 TQ provides co-working space to members who pay €130 a month for access to a “floating desk” among the other services provided at the facility. Agora Innovation, a consultancy on blockchain and crypto operations. According to Co-founders Phong Dao and Evgeny Matershev, the start-up is working with two different clients, one in Tel Aviv and the other in Germany, to figure out their security token needs. JoS Quantum, a four-person start-up working with financial services firms to speed up their transactions through quantum computing-based algorithms running on IBM’s recently released cloud-based Q network. How compelling is this? As Founder, Markus Braun, explained, an operation that might take a traditional IC-based CPU 300 years to complete could be done in one minute on quantum computing. If figuring out the optimal investment before the other guy does is important, then quantum computing is too. Pitch Club brings start-ups before investors, charges both to participate in presentations, and claims a 40 percent success rate for start-ups to receive funding. A “Developer Edition” brings hopeful employers in front of developers to pitch them on why they should join the company as a member of the staff. IDA is hardly a start-up. Besides its space in TQ, the data analytics company has operations in Marburg and Hamburg. 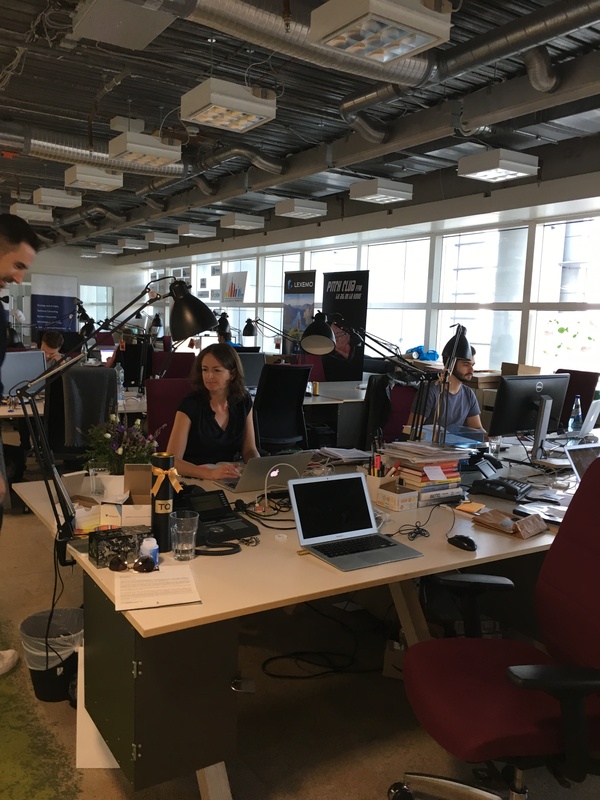 Head of Sales, Lars Hofmann, said they locate in co-working spaces in their locations because of the opportunities presented on a daily basis; you never know whom you’re going to meet (like a bunch of media people). 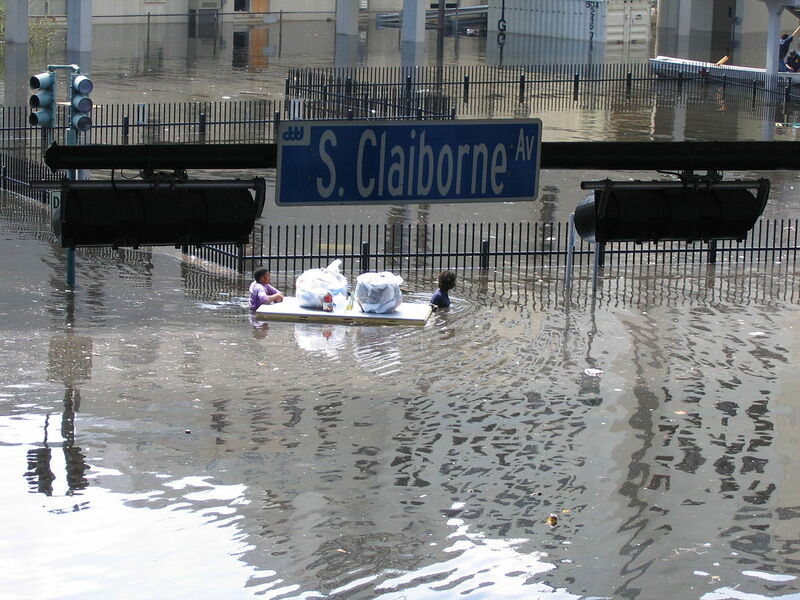 Here’s a photograph of the train project they’re working on. And, as he noted, having a small model of a train as a prop beats PowerPoints. 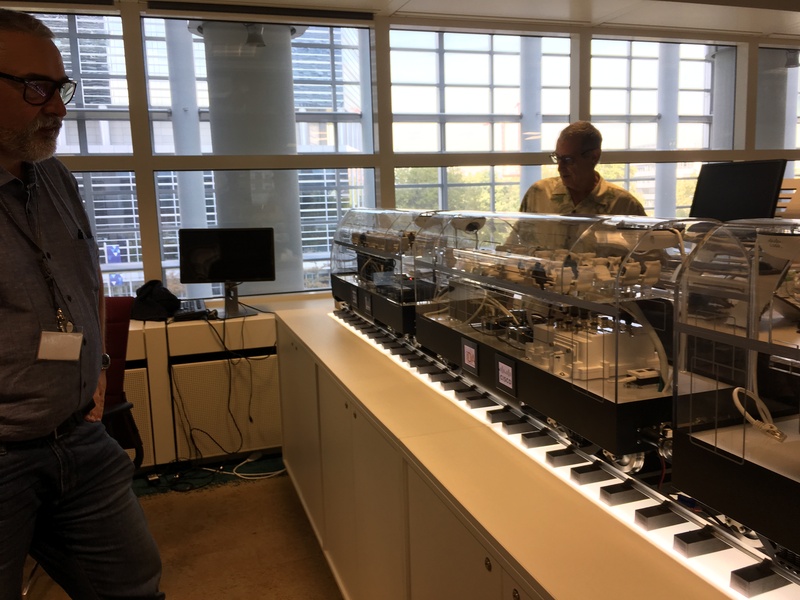 IDA Head of Sales, Lars Hofmann, explains the “train” project. Sensors in the front of each car can collect data on seat availability, environmental conditions, motion and other elements on each train car. Tomorrow, it’s Leipzig, where we get a tour of SpinLab and visit e2m, the largest virtual power station in the world.